Azerbaijani tea culture enjoys a time-honored history and since ancient times, tea is an integral part of people’s daily life in the country. 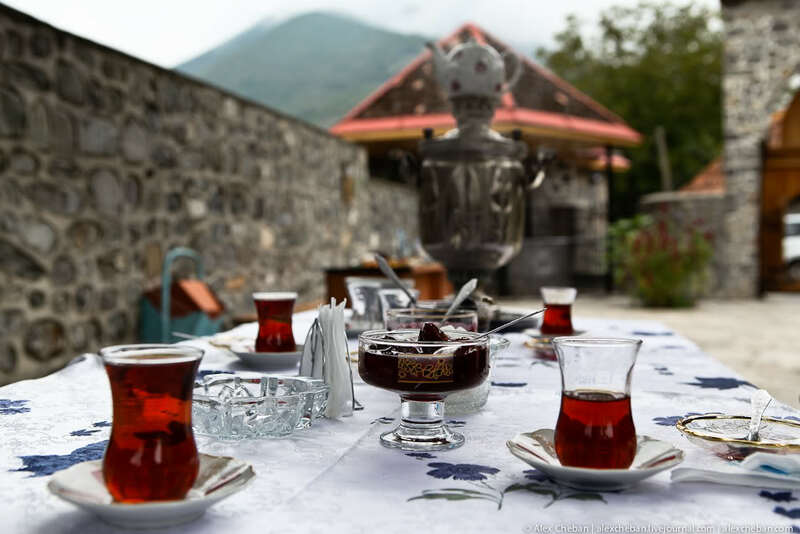 The recent research of the British company Euromonitor International confirmed this “theory”, revealing that absolute majority of Azerbaijanis prefer to drink tea. Azerbaijan with 99.1 percent of users went second after drinking leader Kenya where 99.2 percent of the population prefer tea. Then follows Pakistan with 99 percent, China with 98.9 percent and Egypt with 98.5 percent of tea drinking population. Tea is the most popular drink in Azerbaijan, that’s why it’s not surprising that the country is regularly ranked among the leading countries in terms of the tea consumption. Nariman Agayev, Chairman of the Sustainable Development Research Centre emphasizes that tea takes the first place among drinks in Azerbaijan. “An Azerbaijani family of four people consume about 500gr of tea monthly and about 6-8kg in a year. Annually the country uses 8 million tons of tea," the expert told local media. In Central Asia, for example, people prefer to drink green tea, while in Azerbaijan black tea enjoys wide popularity. Agayev believes that this is a matter of habit, which Azerbaijanis have defined over 100 years. The temperature also play plays a big role, according to the expert. “In Asia, for example, people like to drink sweet or sour tea, because of the hot weather. Azerbaijanis, however, like to drink strong black tea,” he explained. Tea growing in Azerbaijan was founded in the early 1930s in the Southern cities of Astara and Lankaran. The main producer of tea in Azerbaijan is Azersun Holding, which collects tea leaves from the Lankaran and Astara locations, as well as its tea plantations in Sri Lanka. Chairman of the Free Consumers Union Eyyub Huseynov said to local media that more than 80 percent of national consumers prefer Azerbaijani tea, and the reason of this, according to the experts, is in a good quality of the product, which is not inferior to imported. Tea in the East is not just a national drink, it is a subject that accompanies people throughout their life, directly involving in all activities. Whether it's an engagement, wedding, birth, funerals, festivals and a quiet peaceful holiday -- tea is always an essential and welcome participant of these events. In Azerbaijan, people drink tea in special glass which is called "Armudu", which really resembles a pear shape: Its top and bottom are wide and "waist" is narrow. Traditionally, in order not to spoil the taste of freshly made tea, Azerbaijanis don't put sugar in their tea. Instead they dunk a piece of sugar in the tea, then bite a piece and sip their tea. People are gathered together in hot days just to drink tea. Mainly they gather in teahouses or how it is called in the West "Chaykhana". Unlike Central Asia's Chaykhana where people could dine tightly, Azerbaijan's Chaykhana serves only tea.